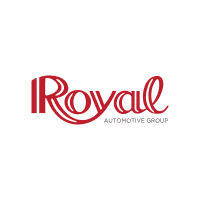 In addition to offering Manufacture Certified Pre-Owned vehicles, Royal also offers Royal Certified Pre-Owned vehicles. Royal has inspected these vehicles before sale and a limited warranty is included. Coverage varies by specific vehicle and each vehicle is clearly marked with coverage levels. In the event of a mechanical breakdown of a covered part, Royal will repair or replace the covered part or reimburse the owner for the cost of parts and labor. What is not included? An exhaustive list is available upon request for each specific vehicle. Clutch, glass, locks, light bulbs, upholstery, paint, or non-factory installed options. Normal wear and tear caused by accidents, vandalism, falling objects or acts of God. Any mechanical problems caused by misuse, abuse, negligence or improper maintenance. Correction of rattles/squeaks/wind noise/odors/water leaks. Please call Royal for a comprehensive report on our Royal Certified Pre-Owned Warranty inclusions and exclusions.